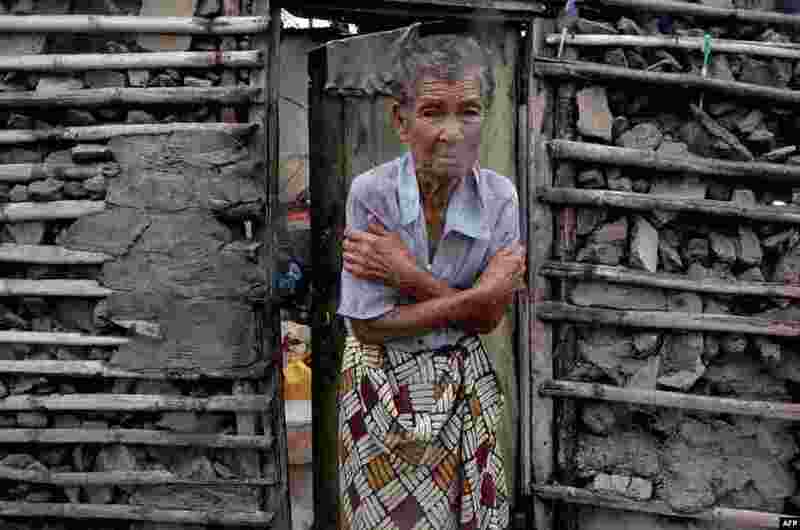 2 A shivering displaced woman stands in the doorframe of a house in Beira, Mozambique. More than 1,000 people are feared dead in a cyclone that smashed into the country last week. 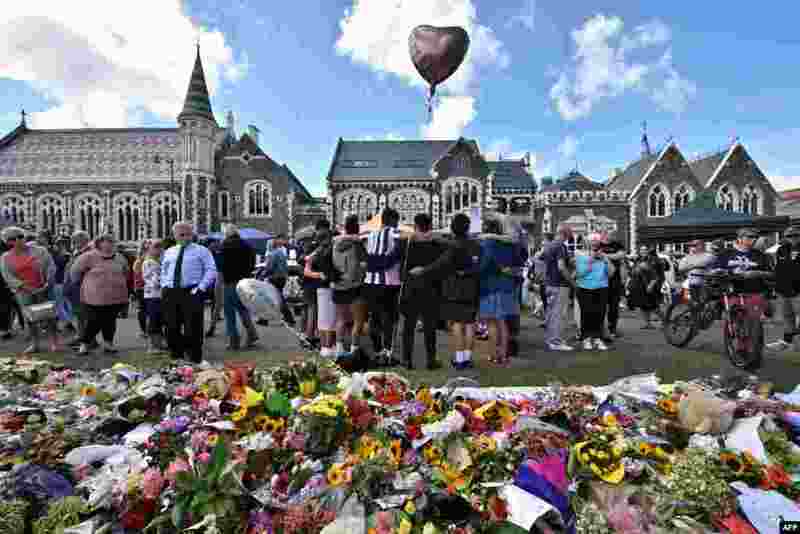 3 A group of students (C) sings in front of flowers left in tribute to victims at the Botanical Garden in Christchurch, four days after a shooting at two mosques that claimed the lives of 50 people. 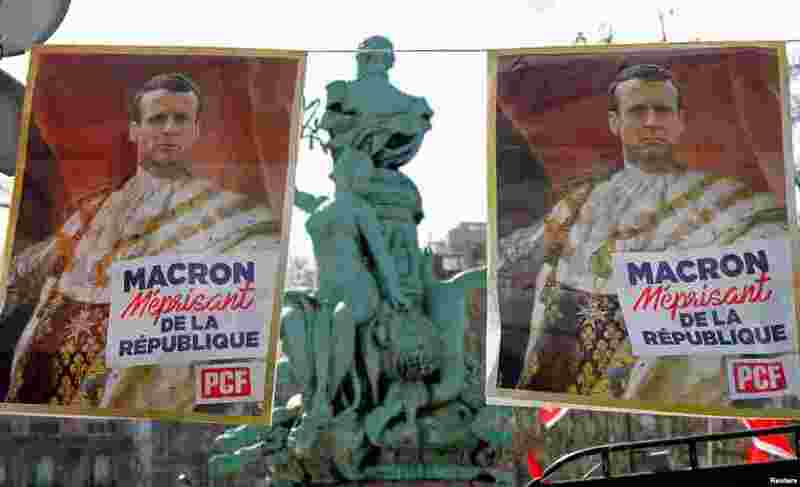 4 Posters with drawings of French President Emmanuel Macron wearing the coronation tunic of King Louis XVI are displayed during a demonstration by labor unions against the government's reforms, in Paris. 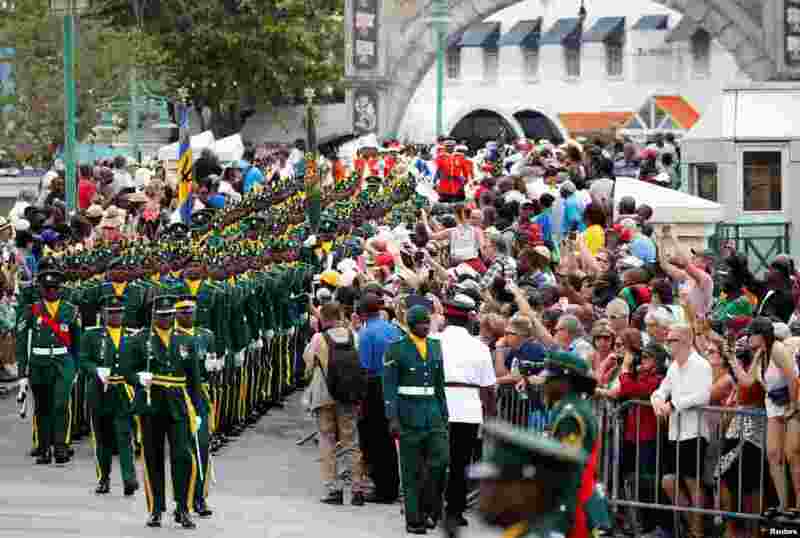 5 An honor guard marches before the arrival of Britain's Prince Charles and Camilla, Duchess, of Cornwall on a visit to Barbados. 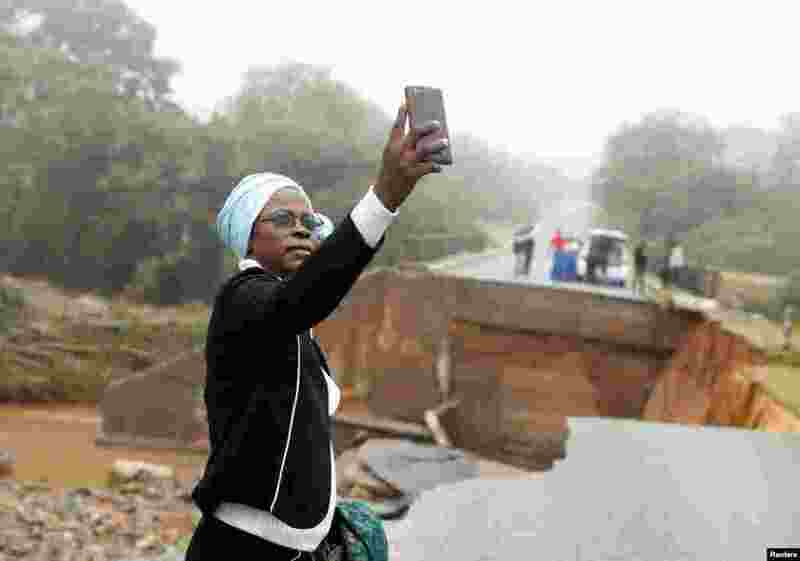 6 A woman takes a selfie at a washed away bridge along Umvumvu river after Cyclone Idai swept through Chimanimani, Zimbabwe, March 18, 2019. 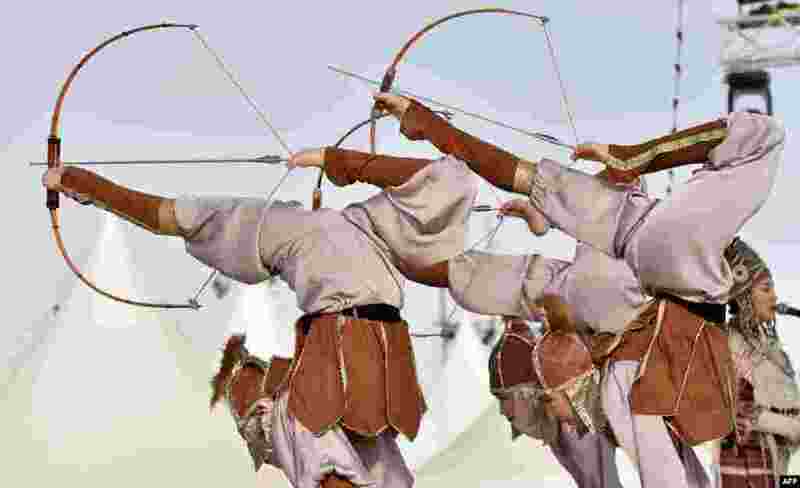 7 Kyrgyz dancers perform in a gathering of bedouins and nomads from around the world as part of the annual King Abdulaziz Camel Festival in Rumah desert, northeast of the Saudi capital Riyadh. 8 A man signs his autograph on the legendary graffiti-covered John Lennon Wall after it was repainted to mark the 30th anniversary of the fall of the communism in Prague, Czech Republic. 9 A gallery assistant poses with a Babylonian cuneiform kudurru (boundary stone) which was looted from Iraq at the British museum in London. 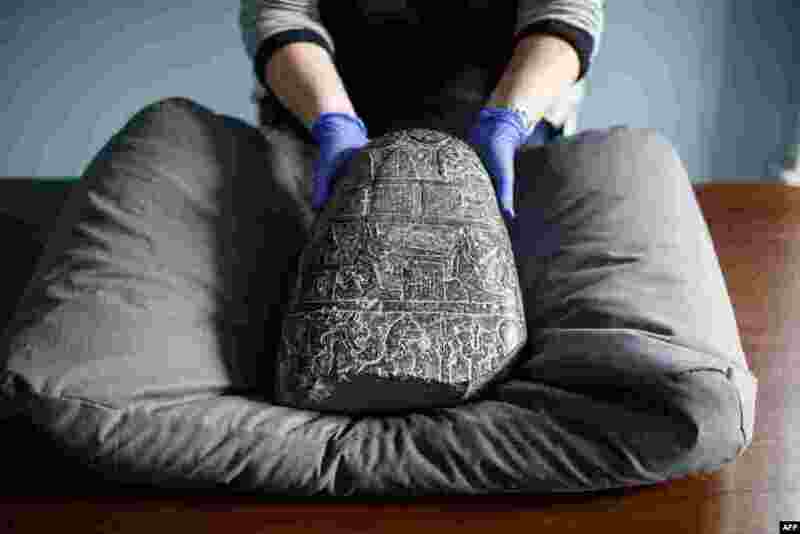 The kudurru, seized at London's Heathrow airport in 2012, was handed over to representatives of the Iraq embassy at the British museum. 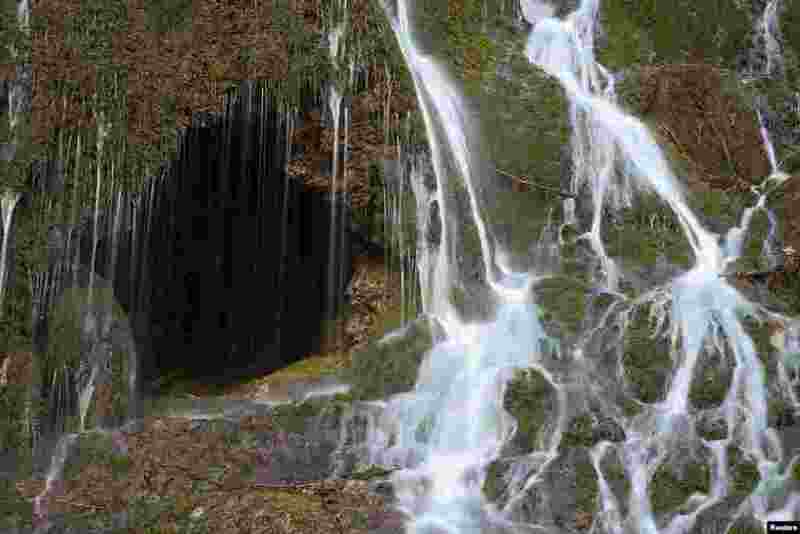 10 A waterfall is pictured outside the Grotte aux Fees (Fairy Cave), where since 1864, visitors can see an underground river come out in the rocks 500 meters inside the mountain, in St-Maurice, Switzerland. 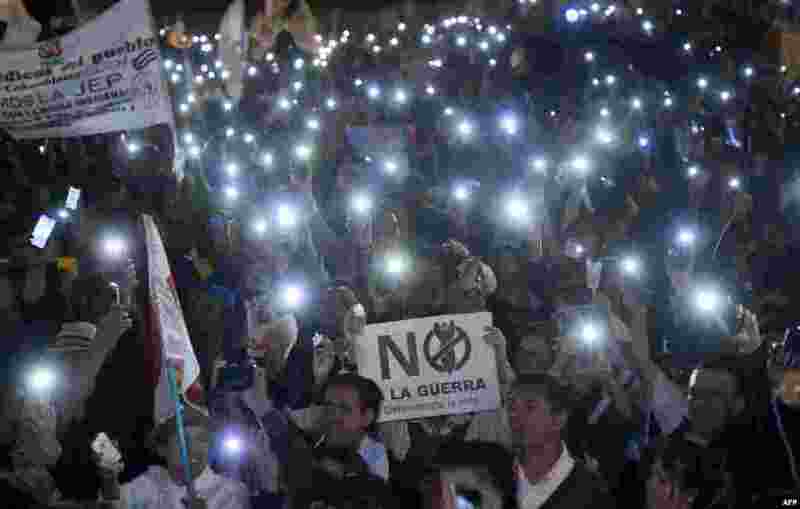 11 People protest against reform proposed by the government for the Special Jurisdiction for Peace (JEP) with a sign reading "No to war" in Bogota, Colombia, on March 18, 2019. 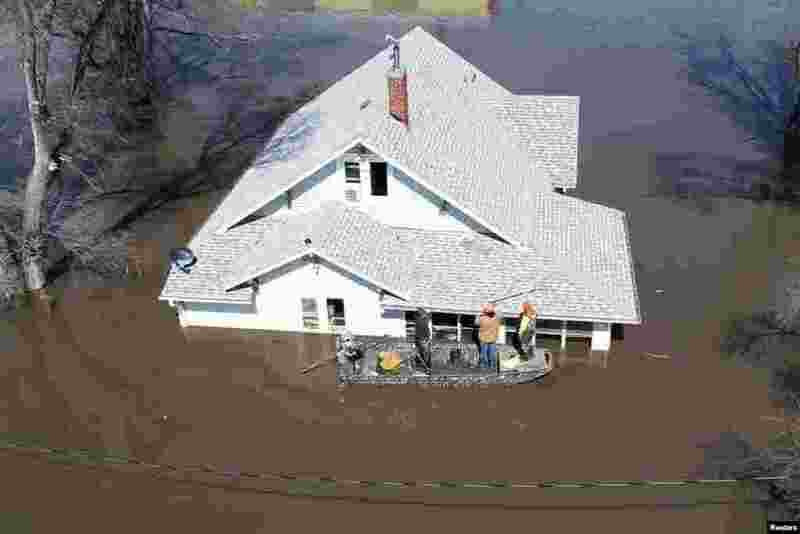 12 Lanni Bailey and a team from Muddy Paws Second Chance Rescue enter a flooded house to pull out several cats during the flooding of the Missouri River near Glenwood, Iowa, U.S., March 18, 2019. 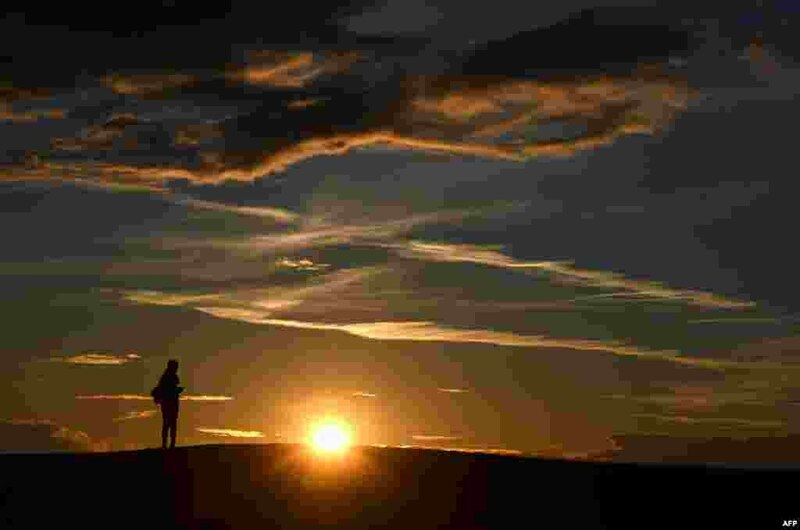 13 A woman watches the sunset in the Olympic park in Munich, southern Germany, after a cold day on March 18, 2019.